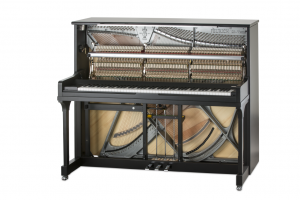 We attended the fantastic UK launch of the Feurich model 123 Made in Vienna upright piano. Packed full of technical innovations (different capstan heights for white and black keys, high speed KAMM-action for faster repetition, lead-free keys, new pedal system, removeable casing, environmentally friendly lacquer finish) and high quality materials (Renner action, Renner hammers! ), the piano retails for £9700. Christopher Devine played some impressive Debussy to demonstrate the beautiful tone and highly-responsive touch of this brand new, European built instrument. 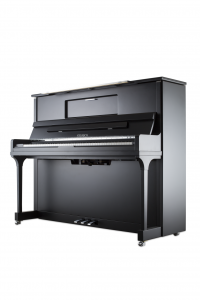 It’s a really impressive upright piano and it’s great to see high quality production returning to rather than leaving Europe!